The geomancy expert chose the plot to bury Mr. Yan's father 20 years ago. But, a new burial must be made at another site to ensure Mr. Yan to become more riches. So Mr. Yan calls in Chinese voodoo priest Kou to handle to reburial. The corpse rises and a vampire is born. It first kills Mr. Yan and roams about for new victims. 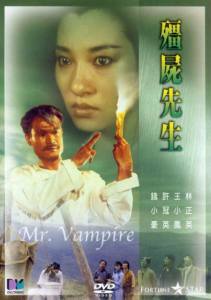 Manchoi is attackecd by the vampire and Tsausan falls in love with a young girl ghost. Priest Kou has a busy time to save Manchoi and Tsausan. The vampire has become the public enemy. The priest, the sheriff and all young people fight back and get the vampire dead for good..